For those of you who follow our photography blog, you know that we mostly showcase weddings, engagement sessions and our occasional family travel post. Today’s post hits close to my heart because it not only showcases an amazing event but it is also very personal to me. It celebrates the union of two phenomenal men that I love – my younger brother Peter and my new brother-in-law John! 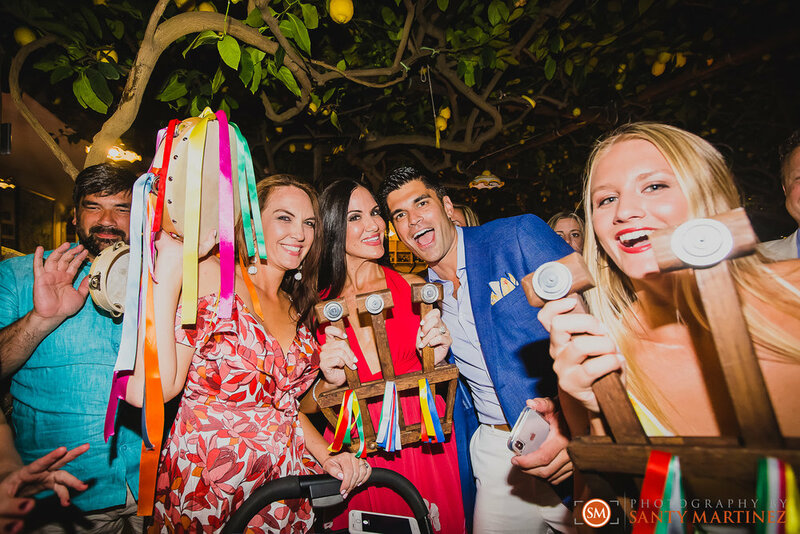 Santy was beyond honored to capture the multi-day events that all took place on the beautiful island of Capri, Italy. We are excited to share highlights from their wedding day, but we thought it would be fitting to give you a peek into the events that preceded it. We arrived in Capri by ferry where we took a cab up the mountain to the private villa we would be sharing with family for the week. This place looked like a dream! 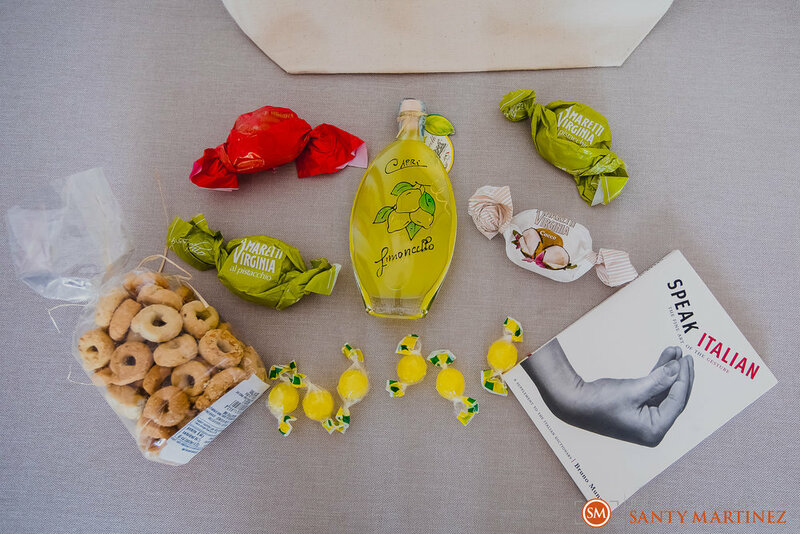 We all received the cutest welcome bags – designed by Auca Design who also designed all the invites and stationary - with all sorts of local treats and goodies inside. There was even a personalized ticket to be used for a complimentary gelato- yum! I am still reminiscing about waking up to breakfast on the terrace! The following day, Santy took advantage of the beautiful scenery at the villa to do portraits of Peter and John before heading to their welcome dinner. I may be very biased – but these two looked so handsome! They were extra dapper that day in their suits tailored by Pepi Bertini – located right here in Coral Gables, FL. Peter and John’s welcome dinner was held the evening before the wedding and it was nothing short of spectacular! 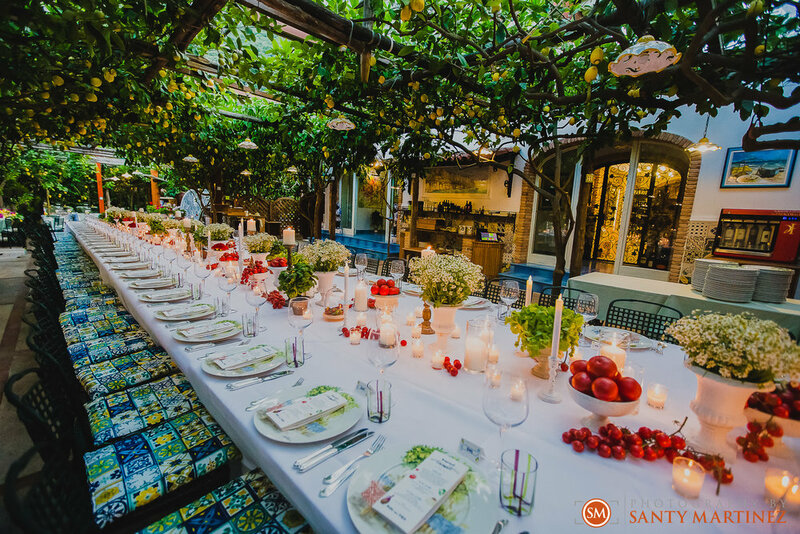 Perfectly executed by the talented team at Capri Moments, the welcome dinner took place at Ristorante Paolino Capri under a canopy of real lemon trees! Peter and John were greeted by music from a local folk band –Scialapopolo Capri - who were playing uplifting music as the couple walked into the venue. Almost eighty of us took a seat at one very long table exquisitely decorated in fresh tomatoes, herbs, daisy carnations and chili peppers! It was very Italian and very beautiful! 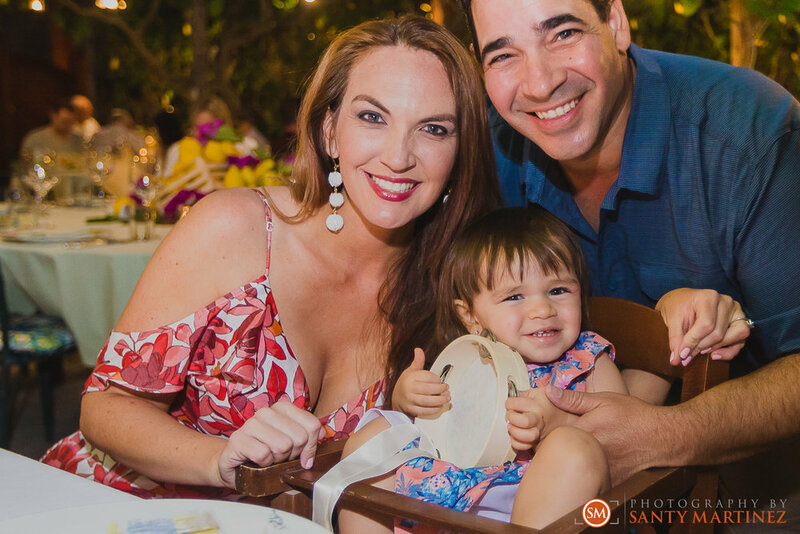 Friends and family were treated to the most delicious Italian fare as the wine flowed. I lost count at the amount of courses served as it was all so good! The night continued with good conversation, laughter, and then plenty of dancing! The folk band returned for an encore like no other! They performed with such gusto and enthusiasm that we were soon all on our feet ready to dance and shake our tambourines to the delightful music. It was the most perfect way to celebrate such a joyous occasion. What a beautiful display of love being love –that’s amore! We hope you enjoy these images from Peter and John’s welcome dinner and stay tuned for more from their epic Italian wedding! To Peter and John, we adore you! Grazie millie for trusting Photography by Santy Martinez to capture your amore.